Preheat oven to 425°F (220°C). Lightly brush a large baking sheet with olive oil. Place oats and parmesan cheese into the bowl of a food processor, along with a generous pinch of salt and some freshly ground pepper. 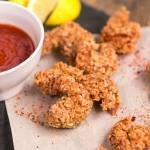 Drizzle with 1 tsp olive oil and pulse until mixture resembles coarse bread crumbs. Pour into a shallow dish. Pour eggs into a second dish. Dust asparagus spears with oat flour, gently tapping to remove excess. 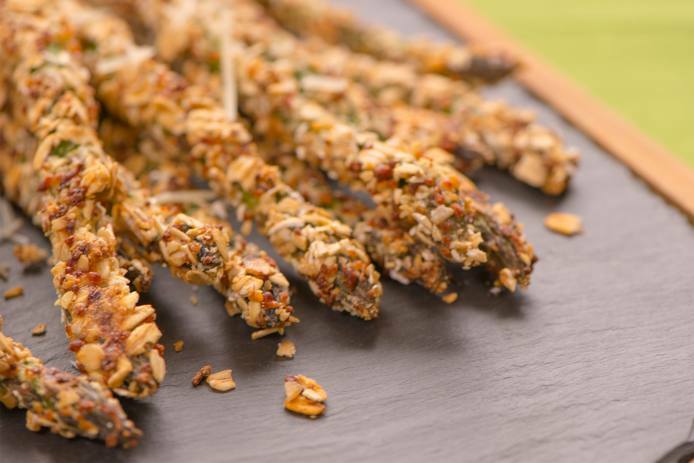 One at a time, thoroughly coat asparagus spears in beaten egg, then roll in parmesan oat mixture. Place breaded spears on prepared pan, making sure they do not touch. 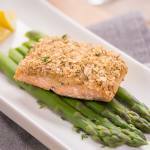 Bake for 12-15 minutes or until tender-crisp and browned, turning once during baking. When planning your holiday buffet, look for dishes that can do double duty and are forgiving when it comes to temperature. 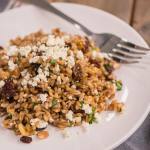 This easy-going pilaf, made with whole grain oat groats, does double duty as both a salad and a side dish. Your guests will love the contrast between the sweet raisins and the salty feta cheese. 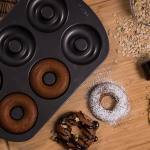 Not only are they a healthier alternative to fried, oat flour in the batter gives these scrumptious baked doughnuts a moist, tender crumb. 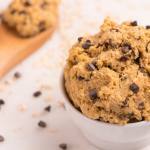 Edible cookie dough is the hot dessert trend of the year! Our version, loaded with fiber-rich oats and chickpeas, is a fun and healthy treat that can be whipped up in minutes and tastes just like the real thing! 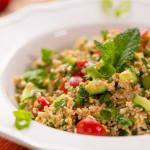 This is a fantastic version of the classic salad, perfect for those who do not eat wheat. We’ve replaced bulgur with steel cut oats, but kept all of the texture and bold flavors of the original. Oats are prepared with the pour-over method, leaving distinct grains with a chewy texture.